When one kind of ginger isn’t enough, add another! 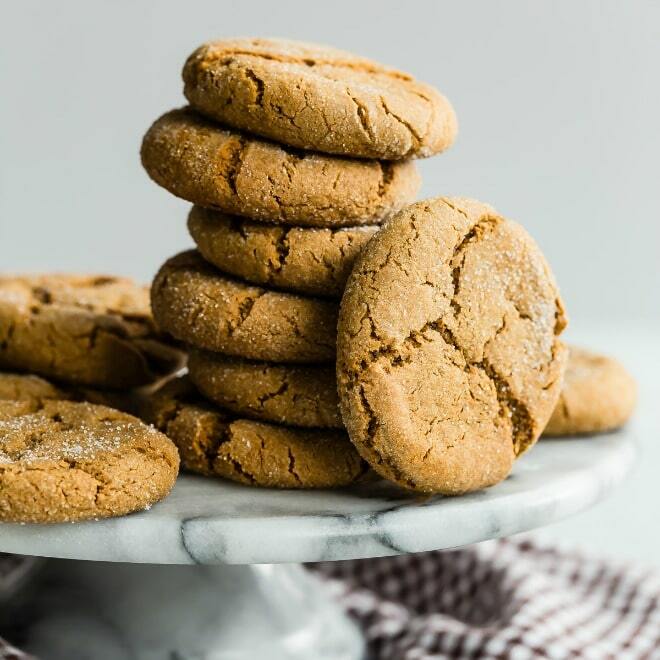 These Double Ginger Cookies bake up soft, chewy, and flavorful with no dough to roll out! 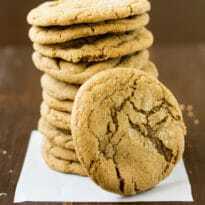 This recipe for Double Ginger Cookies is from my friend Anna. As soon as I took a single bite of a cookie, I immediately had to eat 3 more. They were soft, chewy, sweet, and delicious. 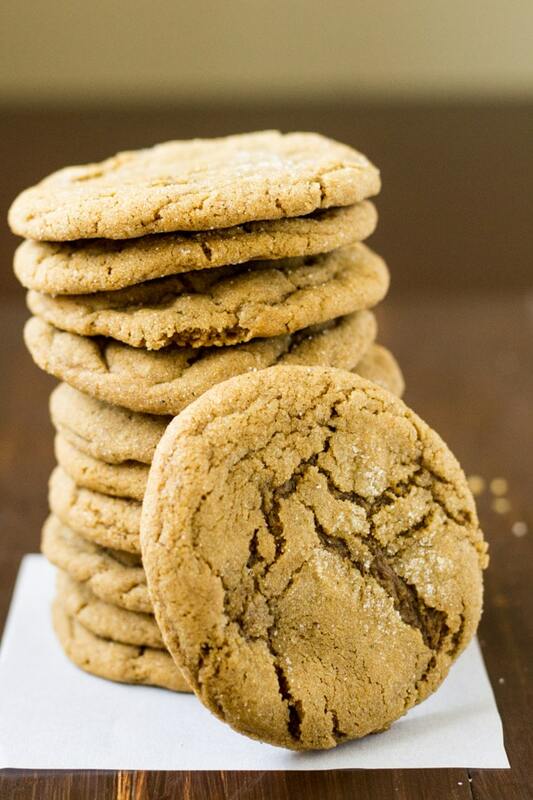 When I think of Ginger Cookies, I always think of Ginger Snaps. These were just as tasty but lacked the snap which, it turns out, I prefer. I immediately had to get in touch with Anna to get her recipe and find out how she made her cookies so special. The secret is in the Double Ginger part. 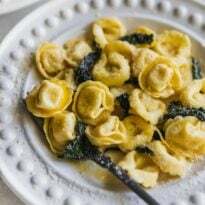 Not only does this recipe have ground ginger, it always has crystallized ginger which Anna cleverly chopped up and included in the batter. I’m so glad she did! Mind you, it is important to finely chop the ginger as best you can. Freezing it for 5 minutes or so may help reduce its ability to stick to the blade of your knife. I also found that immediately out of the oven, the crystallized ginger is more noticeable because the texture is chewy against the still-warm, super-soft cookies. 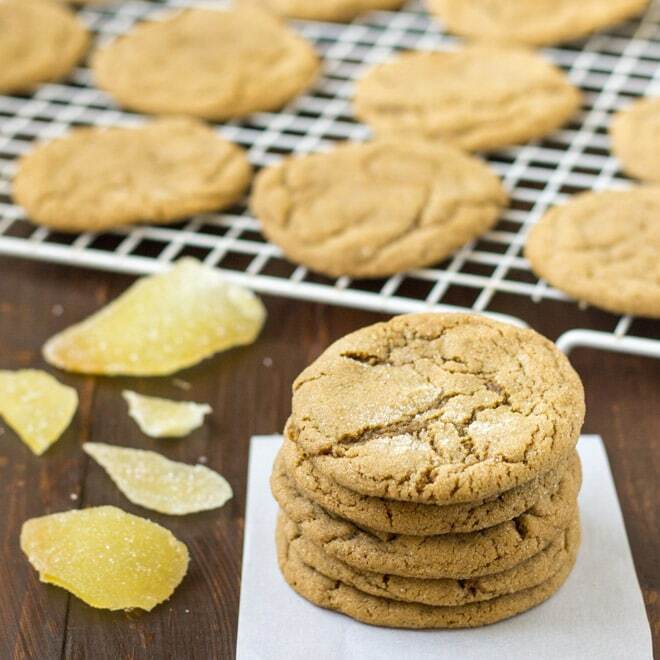 As the cookies cool and firm up a bit, the crystallized ginger blends in more naturally. I buy crystallized ginger at Trader Joe’s, but McCormick offers a version too. You may also browse all of the options at Amazon. In the summer months, I like to bake these Double Ginger Cookies first thing in the morning while it’s still cool outside. 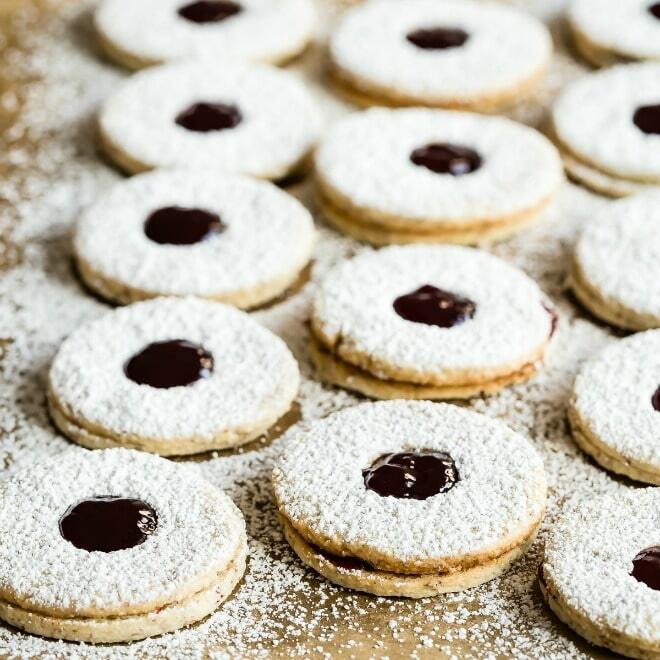 No sense in heating up the oven at 3:00 in the afternoon with the sun beating down… by that time, you should have your bag of cookies pool-side! Turns out Ginger Cookies are not restricted to the holidays. Who knew? 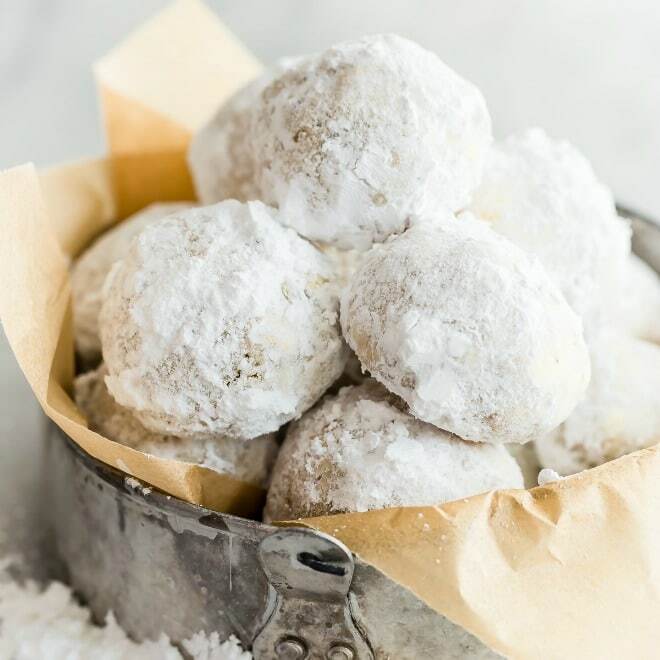 Save these Double Ginger Cookies to your “Sweets” Pinterest board! When one kind of ginger isn't enough, add another! 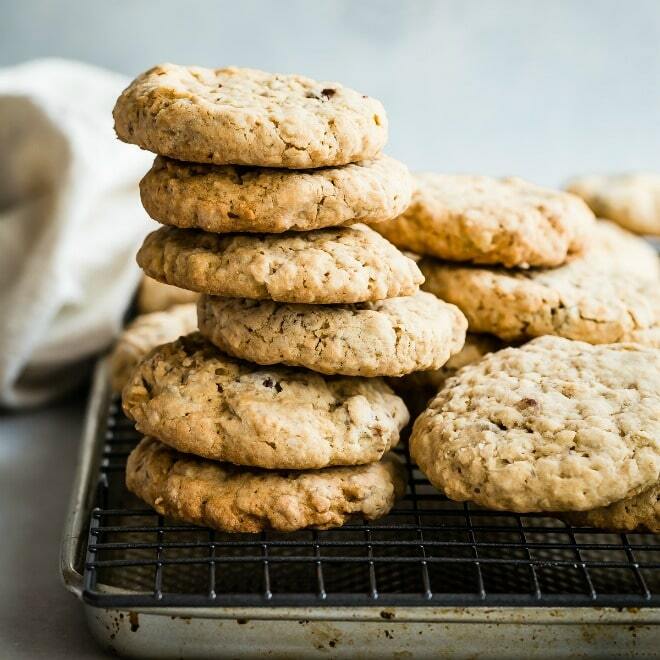 These Double Ginger Cookies bake up soft, chewy, and flavorful with no dough to roll out! Preheat oven to 350 degrees. Sift together flour, ginger, baking soda, cinnamon, cloves, and salt in a medium bowl. In a large bowl, cream butter with 1 cup sugar. Add egg and mix until uniformly combined. Stir in crystallized ginger, molasses, and water. Using wet hands, form rounded tablespoon-sized balls of dough. 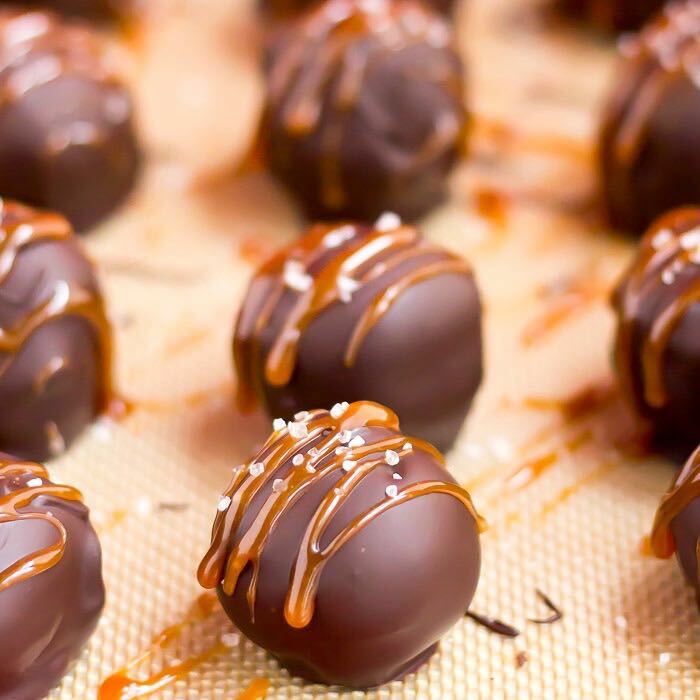 Roll each ball in the remaining 2 tablespoons sugar and lay on ungreased baking sheets about 2” apart. Press down each to flatten slightly. Bake for 8-10 minutes, rotating the baking sheet halfway through baking. Allow the cookies to cool on the baking sheet slightly, about 5 minutes, before removing to a wire rack to cool completely. Crystallized ginger is so great. 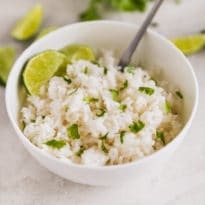 I love using it in desserts. 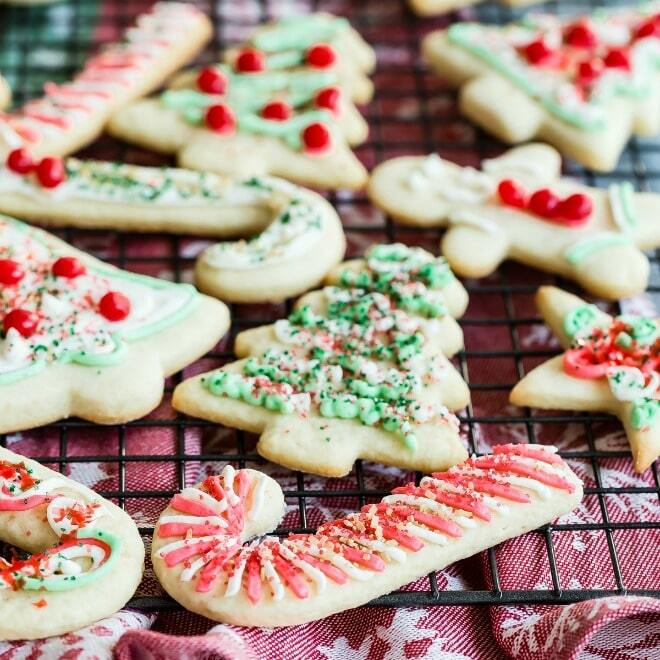 These cookies look so perfect! My mom made chewy ginger cookies this summer for the first time ever/in a while and I’M ADDICTED. I doubt she used crystalized ginger but it sounds scrumptious!! !